The site has had a nice new facelift! It is fresh, modern and has all the information you need to book me! On Thursday 18th October I competed against five other entrants for the Pearman Cup at the Home Counties Magic Society in Reading. 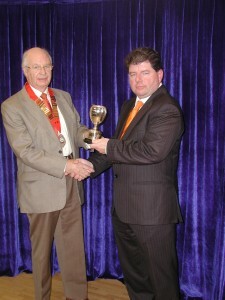 The competition is held annually and the picture to the left sees me receiving the cup from president Brian Dodridge for the 2012 competition. It is indeed a pleasure to have won the cup for 2012 for the most entertaining stage magic act. The magic that I performed to win the Pearman Cup is indeed Magic that I perform when booked for my Cabaret and Stand-Up Spots along with a few pieces I also perform in my Close-Up Magic Sets. To see what the judges were so impressed with you will have to book me I’m afraid! No secrets to be had here now. I look forward to performing at an event near you soon so you to can experience the award winning magic of Rob Gaffney – Magician. 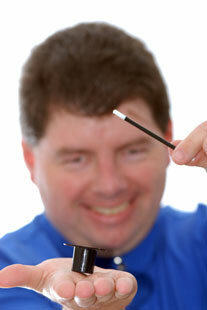 Hello Rob gaffney Magician updating the magic on my website. I’ve added a Close-Up Table Magic Page, and a couple of new pictures. More excitement and magic is on it’s way. All I can tell you now is that it is very ‘Top Secret’ and will be history in the making! This is a very exciting new ‘world first’ project-show coming to the UK brought to you by me Rob Gaffney Magician. In the mean time watch out for a new bird ‘Oz’ the Toucan to fly into the site soon too. He’ll be flying over from my Robbie Magic website to join us hear exclusively on this site. And no ‘Oz’ isn’t what I mentioned above that is top secret. More clues on that later! 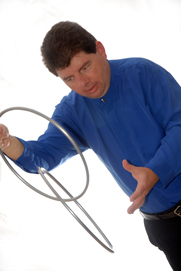 Hi there, Rob Gaffney Magician here updating the magic on my new website. Please stay turned for a completely new look into one of Hampshire’s freshest Close-Up and Cabaret Magicians! Please do use the enquiry link-page above to contact me for more information on my Close-Up and Cabaret Magic offerings. Thanks for visiting.